Progress after years of trying! Thames Water have a project to improve flood water drainage off the Kennington Road and this will include extensive work at Munday’s to ensure that water can then get away from the area. This is extremely good news, as Munday’s is a severe pinchpoint holding water back in the floodplain west of the railway. Thames Water hope to start work in the spring. Oxford City and the Environment Agency have worked together towards getting new flood culverts installed here. 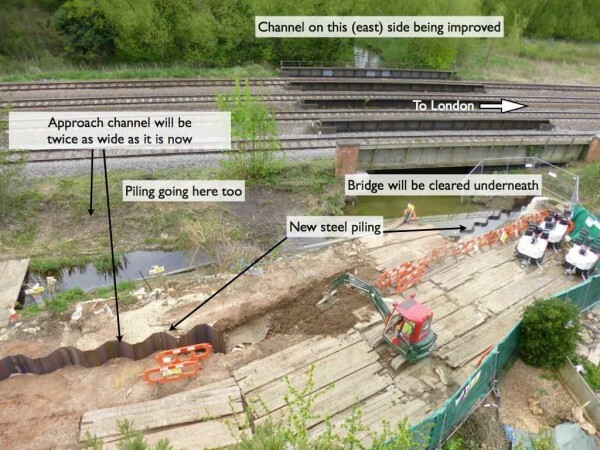 We have now heard that work is expected to start around 10 January 2011 (weather permitting). This should help keep flood water moving, not allowing it to build up so badly. It is something we suggested and have pressed for for some time. Thank you EA and City.